Has natural gas transformed Pennsylvania’s economy? A Cabot driling site in Susquehanna County. John Hutton of Pittsburgh monitors pressurized testing at a fracking site in Susquehanna County. 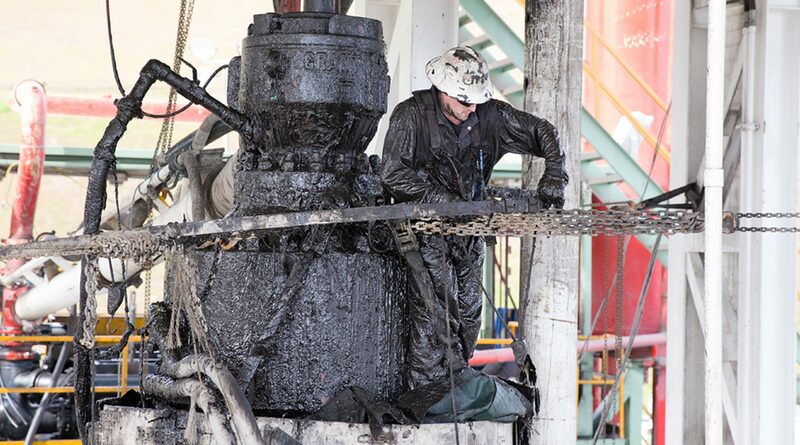 About 28,000 people work directly in Pennsylvania’s oil and gas industry. New draft permit requirements seek to curb harmful air emissions from oil and gas sites. Diana and Terry Van Curen are Chesapeake leaseholders in Bradford County who say the company has been underpaying them. 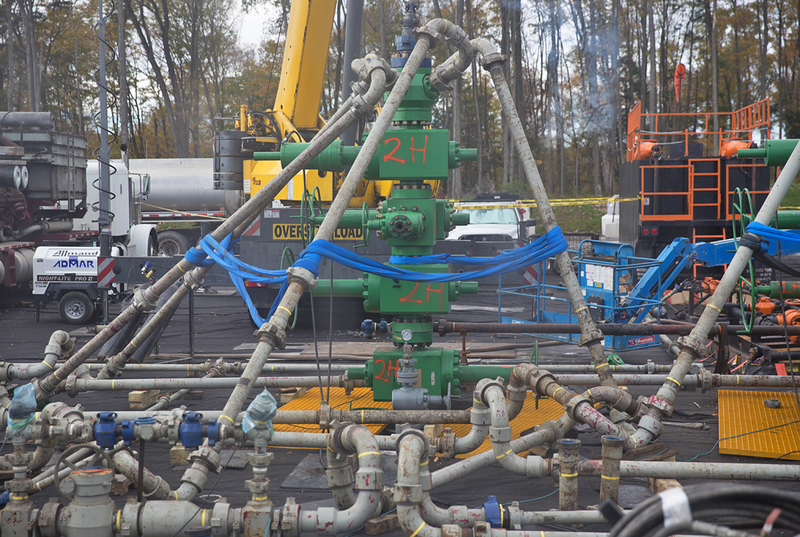 Hydraulic fracturing has unleashed a huge amount of natural gas in Pennsylvania.The Marcellus Shale is rapidly becoming one of the most productive gas plays in the world. The boom has brought new jobs and new wealth to the state. But like every industry, it responds to supply and demand. 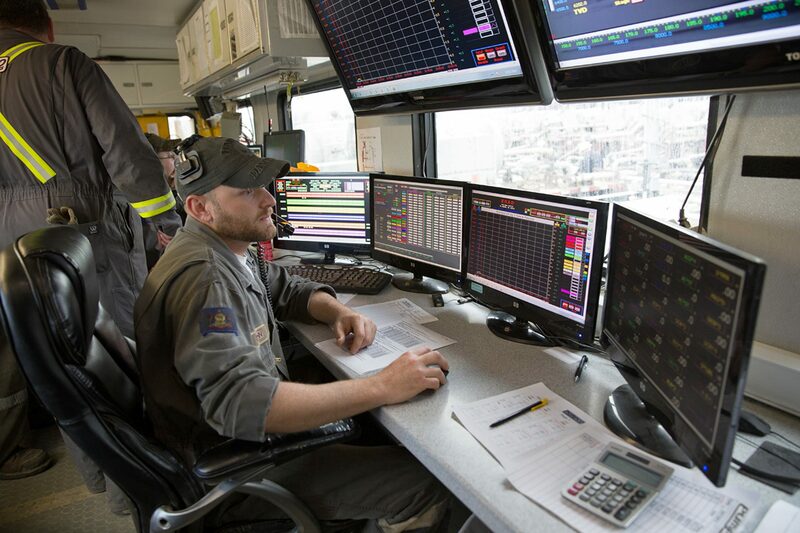 Overproduction led to a glut of gas, causing companies to shift operations to different parts of the shale in search of more lucrative natural gas liquids. Over the past five years, the ebbs and flows of the industry have meant a changing economic reality for different parts of the state. As a bartender at the Bullfrog Brewery in downtown Williamsport, Sarah Yates has watched as the industry’s changed her hometown. 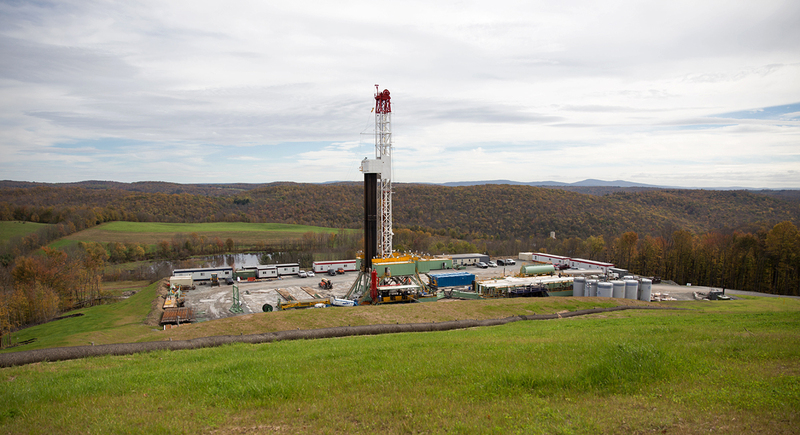 Pennsylvania’s on track to produce roughly three trillion cubic feet of gas this year. That’s enough to supply about 10 percent of what the entire country consumes annually. Industry-funded commercials have often depicted Williamsport’s charming downtown as an all-American place that’s been transformed by the nearby gas wells. But if you talk to Mayor Gabriel Campana—he’ll be frank. Things have changed. “I would say about a little over a year ago, some of the growth that was occurring has receded a bit,” he says. A few months ago he even sold his car– a Honda Civic that runs on compressed natural gas (CNG). He had trouble finding places to fuel it up. The main reason for the slowdown of natural gas production here is simple: supply and demand. Overproduction caused the price to plummet. But not all gas is created equal, and business has picked up elsewhere. The dry gas around Williamsport isn’t as profitable as the wet gas found out near Pittsburgh and into Ohio and West Virginia. Wet gas naturally contains more lucrative gas liquids, like ethane– a building block for the plastics industry. Royal Dutch Shell is looking at building a multi-billion dollar ethane cracker plant outside Pittsburgh. The project isn’t a done deal yet, but it’s the top economic development priority for the Corbett administration. Corbett’s Energy Executive, Patrick Henderson, describes the gas industry as a game-changer for Pennsylvania. To be clear, not all of those people necessarily work in oil and gas. That jobs number includes two categories: core and ancillary industries. According to the most recent figures from the state Department of Labor and Industry**, 28,155 people work directly in oil and gas industries. The rest (203,814 jobs) are ancillary, which means everyone who works in industries like trucking, engineering, and road construction gets counted, whether they have anything to do with gas or not. The administration also touts the money brought in through the Act 13 impact fee and corporate business taxes since the boom began: $406 million and $1.7 billion respectively. Henderson also points out it can be hard to quantify other ripple effects in the economy, like lower natural gas prices. Tim Kelsey is co-director of Penn State University’s Center for Economic and Community Development. He’s been analyzing the gas boom and says the story of shale gas and Pennsylvania’s economy is nuanced. When it comes to new wealth coming into counties where drilling is happening, Kelsey says he’s found royalties are a bigger deal than jobs– that’s the money paid to landowners who have leased their property for drilling. In the first three years of the boom, he says state income related to royalties went up by about $1.5 billion. But lately, a few companies have been accused of underpaying people. Bradford County retiree Mary Jane Foelster says her monthly royalty check has dwindled, because Chesapeake Energy is charging her for the expenses it incurs processing and transporting the gas. Chesapeake is the biggest driller in the state and has been the focus widespread complaints it underpays landowners. The company has repeatedly declined to comment about the controversy, but recently agreed to a $7.5 million deal to settle some of the allegations. Bottom line, Kelsey says what matters most is the long-term economic outlook. The gas will be gone at some point. Will this new wealth be invested wisely? And what kind of costs, like environmental damage, is Pennsylvania incurring? Environmental costs include everything from concerns about air and water quality to radioactive drilling waste. When it comes to making the gas industry pay for its impacts, an old debate is re-emerging as the race for governor heats up. 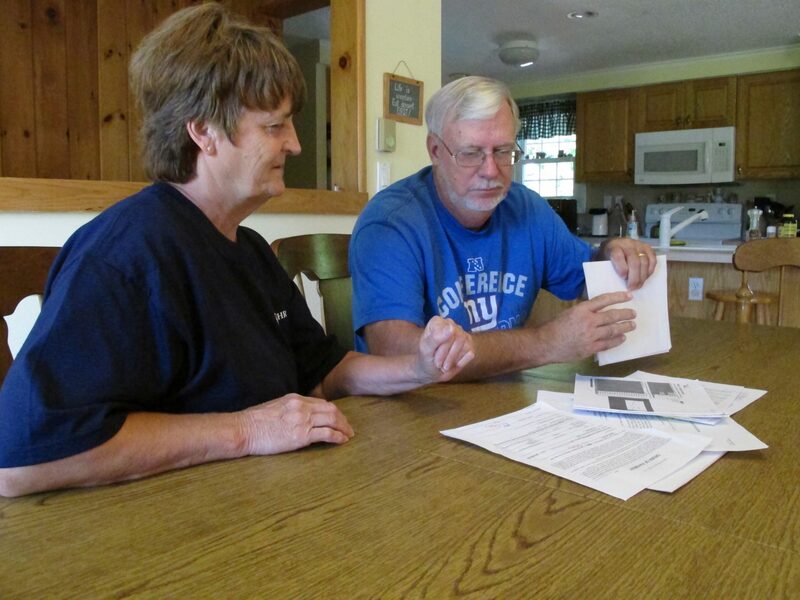 Right now companies in Pennsylvania pay a flat fee ($45,000) for every well they drill. Most of that money goes back to the communities where drilling is happening. By contrast, other states often have an overall tax on gas production. Governor Corbett promotes the status quo, saying the fee is the best way to help communities dealing with drilling. His leading Democratic challenger, Congresswoman Allyson Schwartz, argues it’s not enough. She wants to add a new production tax on top of the impact fee to fund various needs across the state – including education and transportation projects.